Designed for sporty good-looks, engineered with innovative technology and equipped with a full clean powertrain line-up, the all-new Opel Astra, debuting as a five-door hatchback, is set to re-energize Europe's compact car segment. 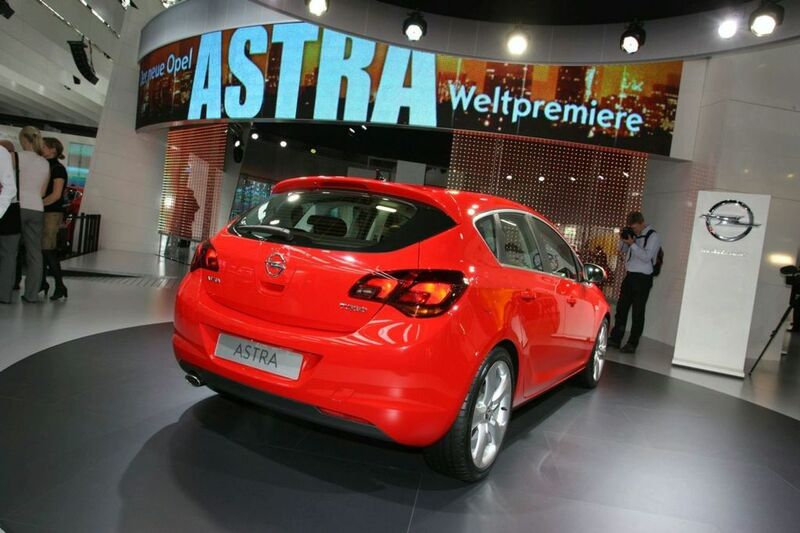 Grounded in the compact class tradition Opel initiated in 1936 with the first Kadett, the Astra has consistently made the top three list of Europe's best-selling compacts - a segment which accounts for 27 percent of the total car market. 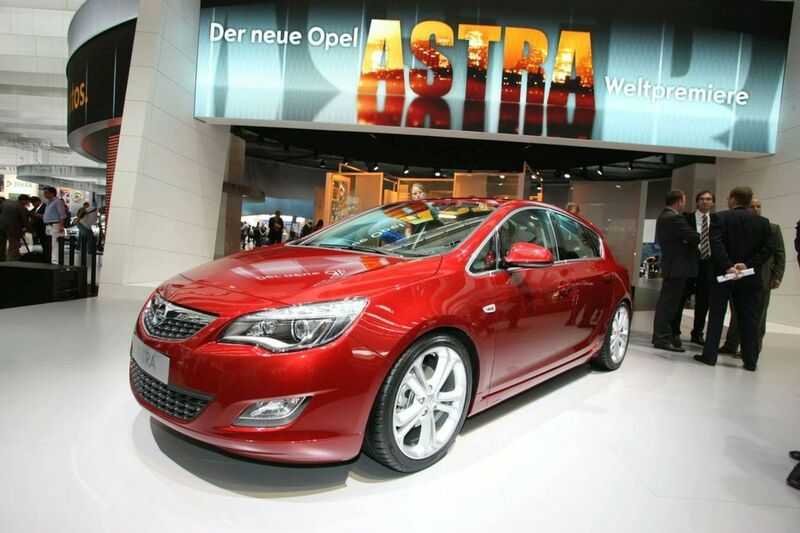 Astra sales make up a third of all Opel/Vauxhall purchases, for an average volume of nearly 500,000 units per year. The new Astra brings many comfort and safety features to the compact class that the Insignia first introduced to mid-sized cars. Exceptional technologies like an all-new mechatronic chassis, the most advanced lighting system, a front camera that recognizes traffic signs and seat technology with the best ergonomics will be available. "The new Astra raises the bar in its class with exciting design, dynamic driving and great practical features," says Alain Visser, Vice President Sales, Marketing & Aftersales Opel/Vauxhall. The new Opel Astra brings into the compact class its own interpretation of the brand's award-winning design language of combining sculptural artistry with German precision first seen in the Insignia. Its strong coupé-like silhouette and stylish details add to a new handsome look. Elegant proportions give it a strong, cab-forward silhouette, with a steeply-raked windshield and falling rear roofline, adding visual excitement to the traditional hatchback format. Also new to the Astra are double wing-shapes in each of the rear lights and a dynamic inverted blade on the flank that visually connects to the powerful movement of the rear window and C-pillar. "The design cues introduced in the Insignia, like the wing and the blade, have been given a fresh interpretation in the Astra, because it's important that each Opel model has its own personality," says Mark Adams, Vice President of Design, General Motors Europe. The interior echoes the flowing forms of the bodywork: sweeping lines, curvaceous shapes and the quality of the execution are all part of Opel's design language. A signature design cue is the wraparound wing shape of the instrument panel that arcs into the top of the door moldings. The effect is a warm embrace of the occupants, providing a welcoming ambience. The Opel Astra's chassis has been developed as a mechatronic system that fully integrates mechanical functions and electronic controls. The new Astra retains the fun-to-drive character of the previous model, with significant improvements in steering response and ride comfort. While the chassis has the proven McPherson strut layout at the front, Opel engineers in Rüsselsheim are the first in the world to combine a compound crank rear axle with a Watts link. 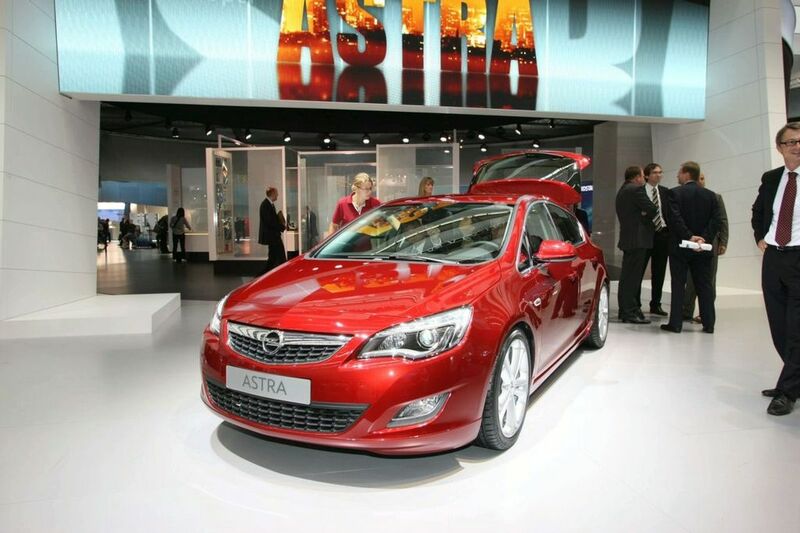 The Astra benefits from an all new rear axle. Keeping the advantages of size, weight and overall efficiency of the compound crank rear axle layout design. Opel engineers added a cleverly positioned Watts link. This supports lateral forces on the suspension while cornering. It also makes the car dynamic and agile without compromising on stability and comfort. FlexRide adaptive suspension offers the additional option of driver-selective ride control and personalization. Like the Insignia, it can be ordered with the clever Opel FlexRide electronic driving system, a rarity in this class, which offers the driver three settings - standard, Sport and Tour - while continuously adapting to changes in driving style and cornering speed. Driving dynamics are improved by wider front and rear tracks, increased by 56 mm and 70 mm respectively. While the wheelbase is 71 mm longer, the proportionately greater increases in track give the car a wider footprint, which contributes to more stable handling and an inherently better road-holding capability. A core body structure stiffer than that of its predecessor provides a firm base for optimizing the new Astra's handling and ride capabilities. In addition, this helps reduce noise and vibration inside the cabin. The new Astra will launch with a complete line-up of eight engines ranging from 70 kW/95 hp to 132 kW/180 hp, perfectly illustrating Opel's philosophy of providing drivers with affordable, real-life efficiency. The Astra's line-up of powertrains with manual transmission provides impressive performance and overall cuts CO2 emissions by more than 12 percent compared with the current generation. The average fuel consumption of the diesel engines is 4.6 l/100 km and only 6.1 l/100 km for the gasoline line-up. The four diesel engines, which are expected to represent almost half of the new Astra cars sold in Europe at launch, deliver 95 to 160 hp. They all consume under 5.0 l/100 km and do not emit more than 129 g/km CO2 when equipped with the manual transmission. The gasoline range comprises naturally-aspirated and turbocharged 1.4 and 1.6-liter engines, giving a power bandwidth from 74 kW/100 hp to 132 kW/180 hp. The entry level version in the gasoline line-up emits only 129 g/km CO2. 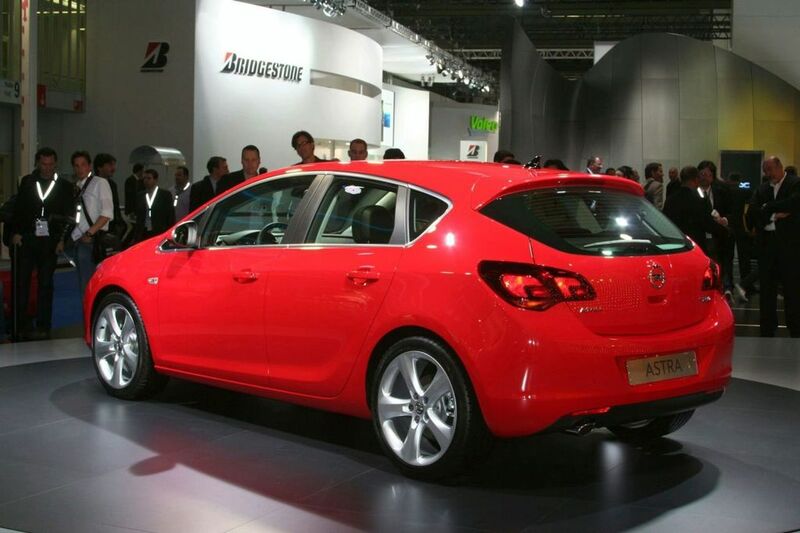 "Opel's mission to make high tech innovations accessible has proven to be successful in the Insignia. We've set ourselves an even more ambitious goal in bringing most of these features to the compact segment with the new Astra," says Hans Demant, Managing Director of Opel. *A new generation of bi-xenon Advanced Forward Lighting (AFL+) that changes its intensity and reach to suit prevailing driving and road conditions using nine different lighting functions. *The Opel Eye front camera system, which recognizes road signs and warns the driver when the car inadvertently departs from its lane. 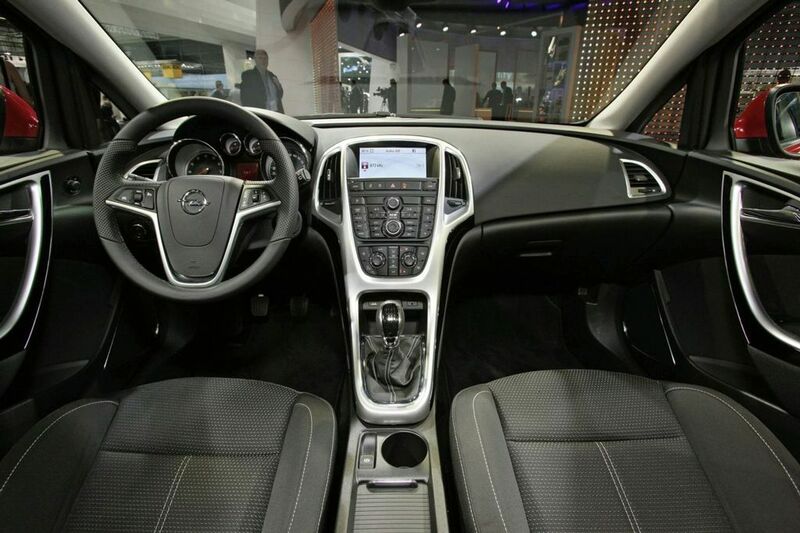 *Ergonomic Sport Seats can extend 280 millimeters in length to accommodate long legs. They offer cushion extension, cushion tilt function, 4-way lumbar support and a body-supporting seat contour using high-density foam. It is the only seat in the compact class to receive the much coveted seal of approval from Aktion Gesunder Rücken e.V. (Action for Healthy Backs, known as AGR), an independent panel of ergonomics experts and doctors in Germany. *FlexFloor, which enables easy stowage of a wide variety of cargo. The trunk floor is moveable and can be positioned at three levels by engaging ergonomically-designed fixtures near each corner of the trunk. *FlexFix, Opel's innovative bike-carrier, is integrated behind the rear bumper and offered as an option on the new Astra hatchback. It makes transporting bikes easy and convenient because it slides out of the rear bumper like a drawer when a release lever near the lip of the trunk is pulled. Hyundai Sonata adopts a new "fluidic sculpture"